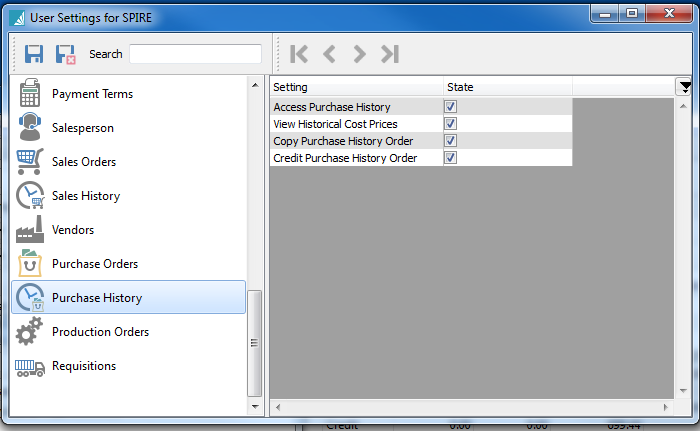 Access Purchase History – Gives access to PO history and is added to the user’s main menu. Copy Purchase History Order – Can copy a historical PO to a new PO. Credit Purchase History Order – Can credit a historical PO to a new credit PO.